I never really knew my grandmother. She died when I was a kid, but I don’t remember a time when she wasn’t sick. She had Alzheimer’s. 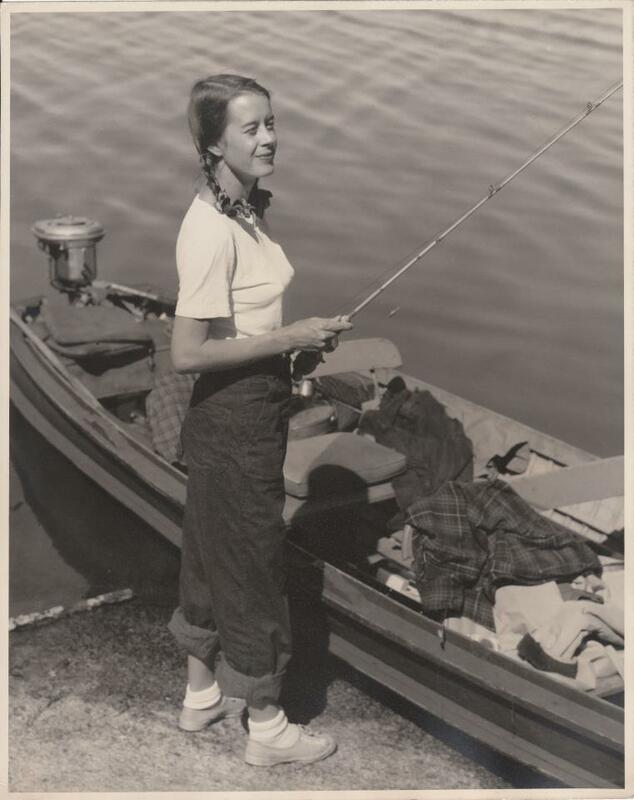 Grandma, going fishing, probably around 1935. My only real memory of her revolves around this antique doll she kept at her house. My sister and I were playing with it once, when I was about 6. She saw us playing with the doll and came running into the living room. “Stop that!” she shrieked. “That’s MY doll!” She snatched the doll out of my hands and whacked me aside with it. She thought she was a little girl again, and some other kid was stealing her best toy. My other memories of her are a hodgepodge of her laying in the hospice/elder care home we moved her to when my Grandad could no longer take care of her. Her Alzheimer’s was in a fairly advanced state at this point, and she no longer talked or walked. My mom would bring my sister and me to see her once a week, and we would shuffle in, awkward and unsure. We’d say a few things to her, prodded by our mother, but Grandma never looked at us or responded. I was always relieved to get out of that room. I felt like I had escaped some looming terror. She died of pneumonia following a stroke when I was ten years old. The grandma that I didn’t know was a study in contradictions. Born on a tobacco plantation in southern Maryland, she was raised to be a southern lady and was bewildered by the changes that the 1960s and her hippie children brought. She was shy and gentle, to the point of running from cameras and never standing up for herself when her husband bullied her. But she also left home before she was married, and lived on her own during World War II. She moved to Baltimore and ran a steel mill and played the drums in an all women band. She later married a divorced man (my Grandad, who converted from Catholicism after his first marriage so he could re-marry) and became a military wife. She never worked outside of the home again. I wonder if she used up the last of her will to rebel before she married, or if it slowly leaked out of her like a deflating balloon as the weight of life bore down on her shoulders. 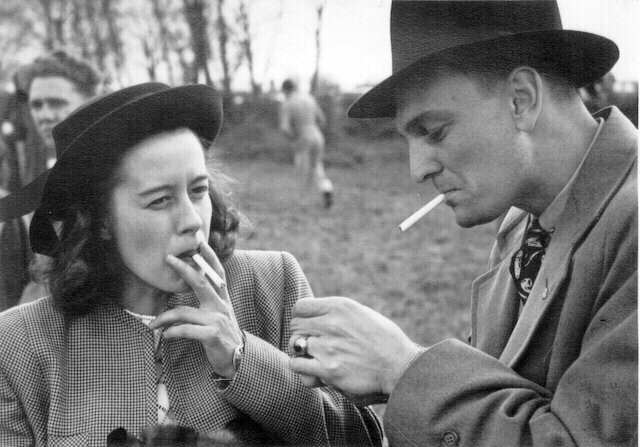 My grandparents, sometime in the 1940s, before they married. My mom says the one and only time she remembers her mother yelling at her as a child was this: It was the mid 1950s, and my Grandma was trying to vacuum the stairs. My mom was very young at this point, probably 4 or 5, and she was trying to help my Grandma, but was of course mostly in the way. My Grandma was probably frustrated and tired and worn out from caring for three small children while moving from military base to military base all over Europe. She apparently turned to my mom and snapped something like “S___ will you quit?! You’re in the way!” My mom’s eyes filled with tears, and she told my grandma that she was “trying to help.” My grandma turned off the vacuum, sat down on the stairs, and pulled my mom onto her lap. “Oh S___, I’m sorry. You’re right, you were helping and I’m sorry I yelled at you. Thank you for being my helper, and I love you.” She never yelled at any of her children again. 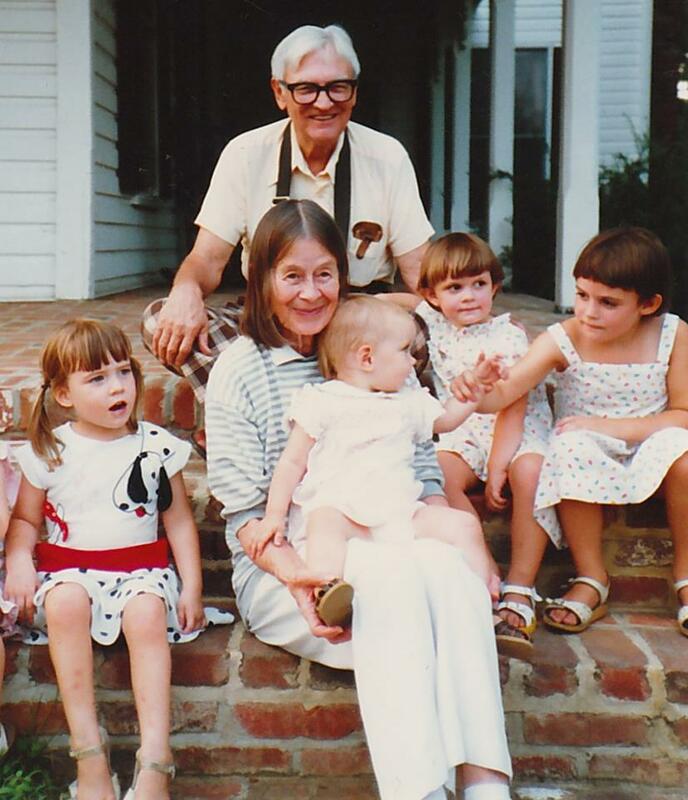 My grandparents with my sister, me, and two of my cousins, sitting on the porch steps to my Grandma’s family plantation home in the 1980s. But contrast that gentle love with the same woman who believed the sharecroppers that worked her family’s land were a different species, some kind of sub-human that should not have any kind of meaningful interaction with “her kind,” and was never able to reconcile her racist beliefs with the ’60s race revolution. A woman who, along with my Grandad, paid off three different girls who got “in trouble” by my uncle in high school to “deal with the problem”. What exactly that means (adoption, abortion, etc) was never made clear. A woman who donated so much blood during World War II that she became sick and weak, and her health never really recovered. She would remain fragile for the rest of her life. 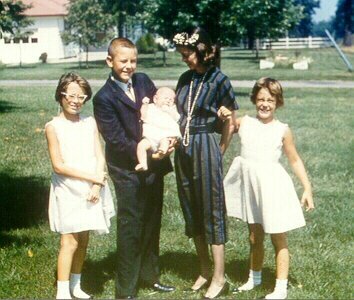 My mom and her siblings with my Grandma in the early 1960s. She was also the woman who never, ever said a word when my Grandad would say, at every meal “C____, get up and get me another drink!” despite the fact that to get the milk out of the fridge, he wouldn’t even have to get out of his chair. Every single meal, for years, my grandma hopped up without complaint, until my mom and her siblings started to talk back for her. “Get it yourself, Dad!” they would exclaim. My grandma would have been 97 this month. I miss a woman who I never knew, someone who I never will know.